The rapidly expanding field of commercial transgenic cultivation has its greatest concern related to environmental well being as transgenic crops are seen as a threat to the biodiversity in the agricultural fields. Since transgenic technology is continuing to witness a rapid growth in terms of developing novel varieties, it is imperative to examine whether the developed varieties contribute to preserving biodiversity. Further, it is also necessary to focus future research towards developing transgenic varieties to contribute to preserving and enhancing the biodiversity. 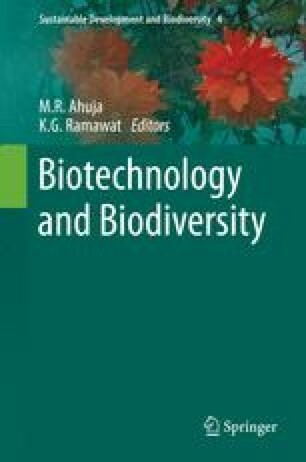 The present review aims to present an overview of the current status of transgenic technology in contributing to biodiversity and suggest future research strategies enabling the preservation of biodiversity.